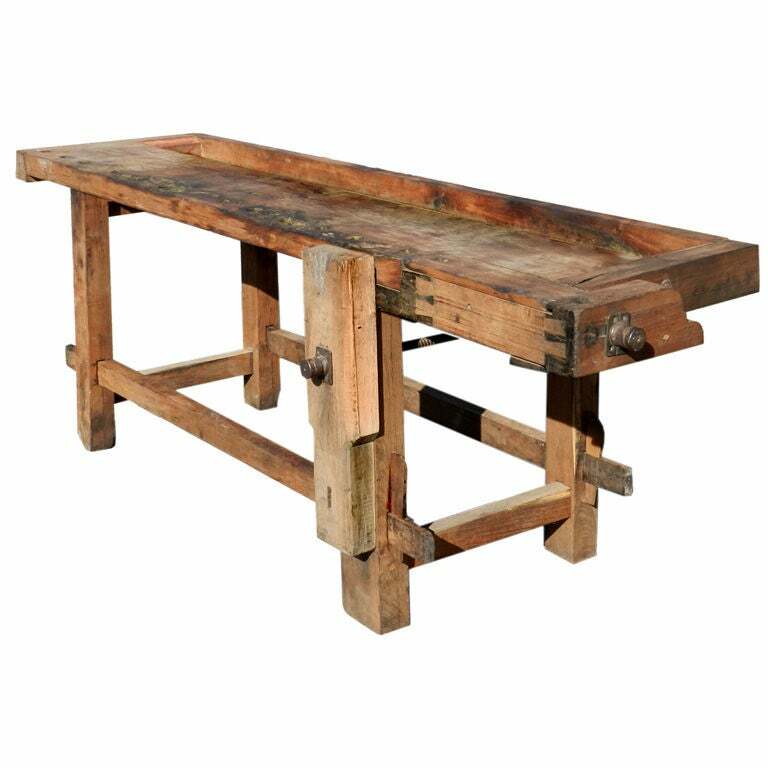 Used for generations by cabinetmakers, this authentic carpenter's workbench from abut 1900 makes a perfect dining room table. 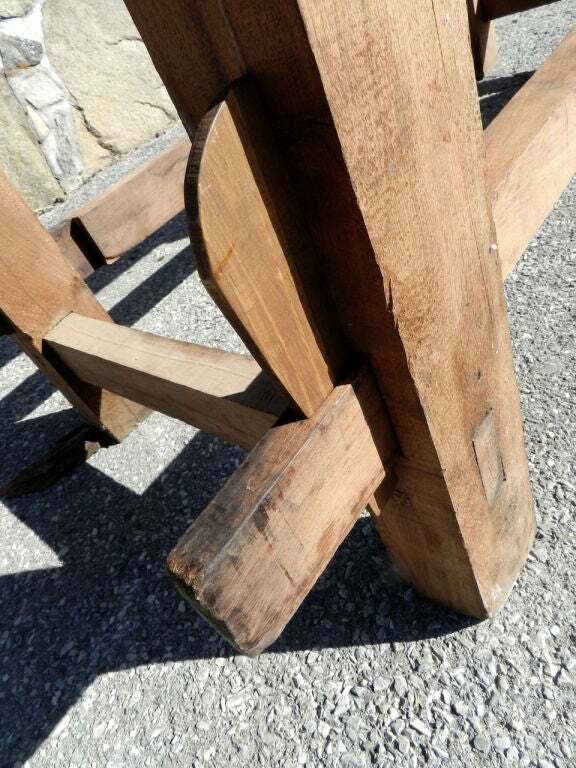 The 4 legs are easy to cut down if desired to make a comfortable table hight. 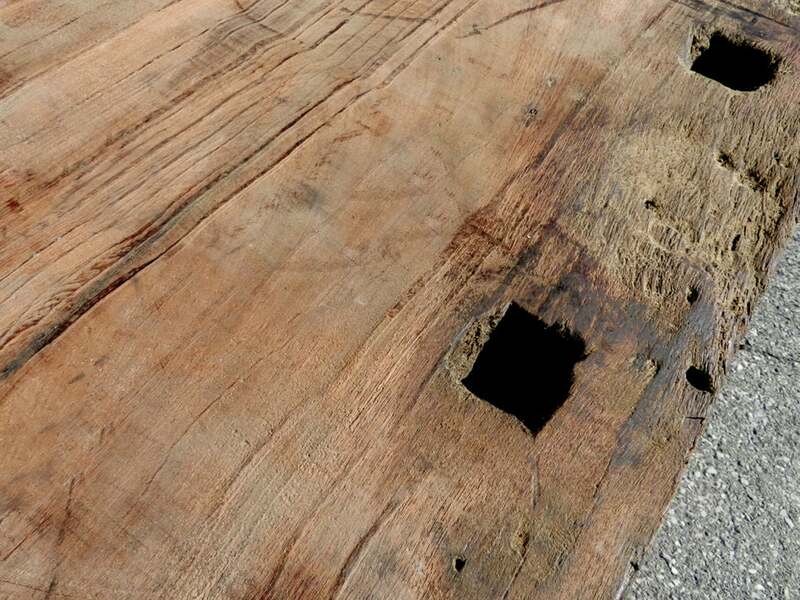 For 20 years our own dining table has been an antique work bench. We use a large glass top with Gustav Stickley chairs around it. I have seen them used in many ways... as a wine and appetizer table, kitchen island or wide screen base. With it's simple honest style including exaggerated mortise and tenon joinery these benches fit perfectly with many different decorating styles but have a character all their own. 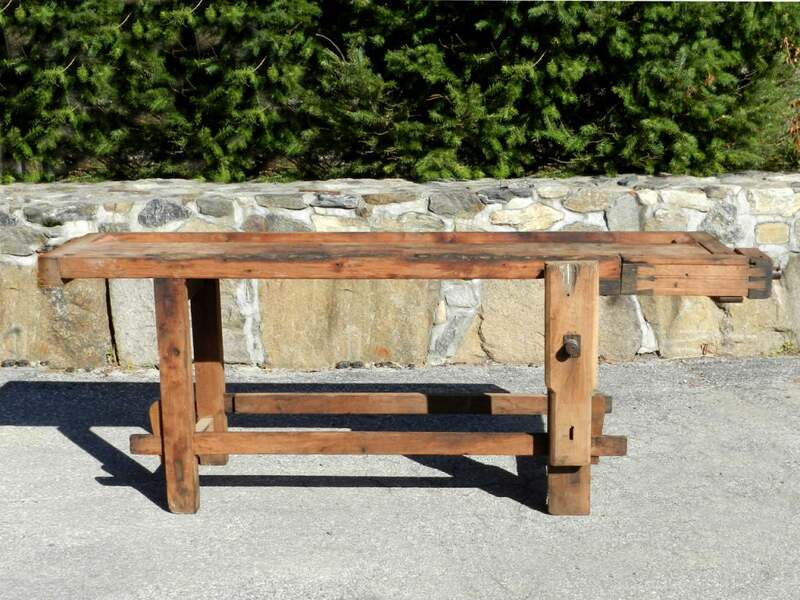 Made of solid hand-hewn lumber and showing 100 plus years of use give this antique personality and patina. 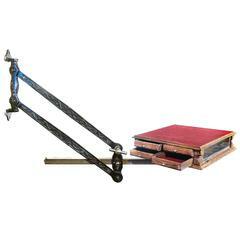 There are large clamping vises and a recessed tool tray. Also note the extra large dove tail joints. For questions or net pricing contact dealer directly. 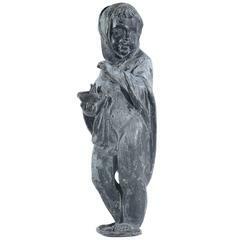 This is a 20 inch statue of a child holding a flame. The sculpture mislead and surprisingly heavy for its size. The patina is beautiful.